Since finishes in the UFC have been a very rare occurrence of late, just four in the Octagon’s last 24 fights, we thought we’d treat you to the footage of one of them. 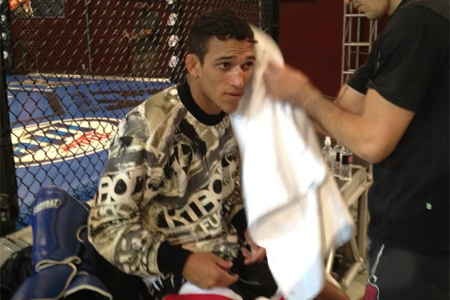 However, it nearly took Charles Oliveira (pictured) all 15 minutes to submit Andy Ogle on Saturday. Oliveira caught him in a triangle choke at the 2:40 mark in the final frame.